Blast off to another galaxy, and let your child experience the thrill of building his own toy roller coaster with the Lunar Launch Roller Coaster Building Set from K'Nex. 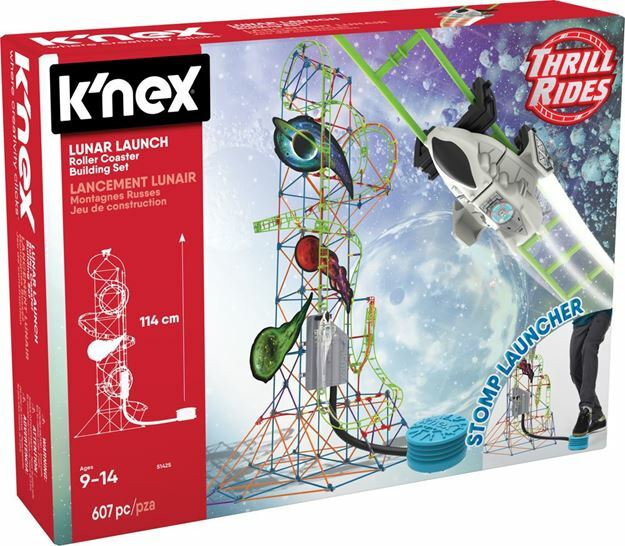 Build a massive, moving, motorized roller coaster toys for hours of exhilarating fun! Stands over 4 feet tall. Includes: 607 K'Nex pieces. Part of the Thrill Rides range. Age 9 + years. Distributed in New Zealand by Holdson.